We’ve got some really exciting things going on at WCWAA Soccer and we have a great group of families involved in our program, including you! With this letter we are officially announcing Operation Turf. 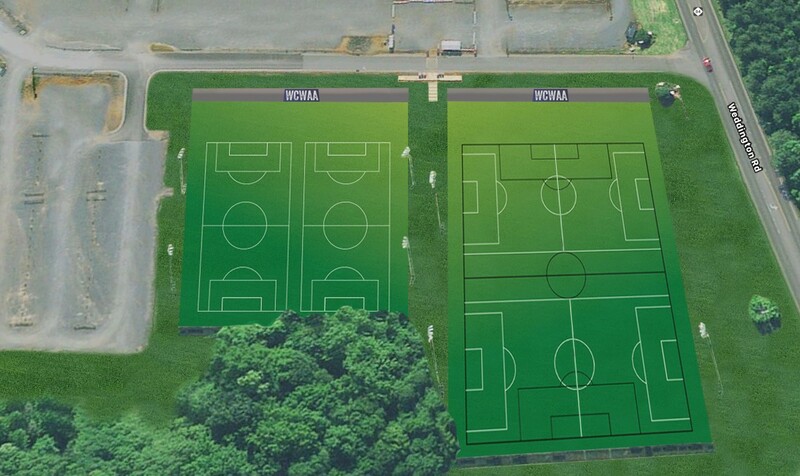 It has been our dream to have turf soccer fields at Optimist Park. While we are still in the early stages of Operation Turf, we see this dream becoming more of a reality every day. We invite all of you to be a part of these exciting changes and to help us make them happen! Add a large kick wall along the entrance drive by Fields 1, 4 and 5. Overall Goal – raise $500,000 to complete our $1.2 million project this year. at least $150 now to kick-start Operation Turf. Our ability to raise corporate funding is so much stronger when we can show that we have our own families invested in this project! WCWAA is a 501(c)(3) organization and all donations are tax deductible. On behalf of the entire soccer staff, we thank you from the bottom of our hearts for your continued support of WCWAA Soccer and Operation Turf. We are incredibly excited about the possibilities ahead! NOTE: Make check donations payable to WCWAA and put "Operaton Turf" in the memo line. Make your Tax Deductible DONATION NOW!